In the days that followed, letters poured in to Gay Byrne. And then Gay Byrne started to read them out on air. And more came in. 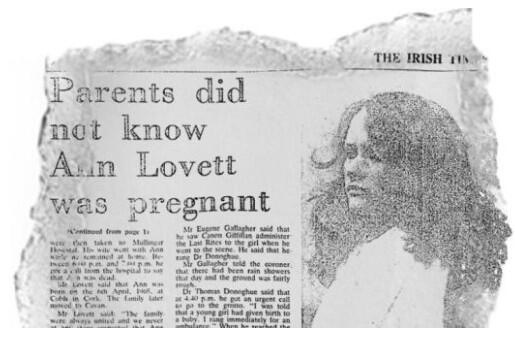 And the seal covering Irish women’s lives- hiding anguish, about babies, love and lovelessness, about cruelty and above all about living in silence- was broken. By reading out all those women’s words Gay Byrne loaned his voice- the most famous voice in Ireland- to people who hadn’t even been able to speak before because the ruling forces in society didn’t ever want them heard. When we mark off things that mustn’t be said, we grow forests of ignorance in their place. When certain things are deemed “too loaded” to be spoken, we lose the ability to describe a piece of truth. Silence your opponents and you steal their voice. But you also steal from everyone else the chance for an understanding of their lives. Gay gave his voice to people who had had theirs taken from them. RTE carried personal stories and the emotions of hidden lives into every part of the country. The station let the powerless choose their own words to describe their own life. Silencing people- actually preventing their words being heard- is a tragedy that creates more tragedy. Argument and discussion, polite or raw, is a society’s best protection against the darkness. You must say what you like, as must I. And we both may say what we think of the other. If we can’t do that- if one of us takes the other’s voice because they cannot bear to hear what they say- it is certain that we will again be lost to the dark. Dissent is not oppression. Silencing is oppression. Dissent is freedom, through speech.